Macarena Aguiló’s exploration of a little-known politically-motivated social experiment in Chile’s tumultuous history made its premiere in 2010. Among its stops on the festival circuit were FIDOCS, IDFA, DOK Leipzig, New York International Latino, DOCS Barcelona, and Thessaloniki Doc, among many others, picking up more than a half dozen awards along the way. Aguiló delves into her own history to tell the story of Proyecto Hogares (referenced as either “Project Homes” or “Project Home”) – a safehouse in Cuba for the children of Chile’s leftist freedom fighters. While their biological parents fought against the injustices of Pinochet’s regime back home, their sixty children were raised communally in the titular Cuban home-in-exile by “social parents,” twenty adults who could not fight but served the revolution by bringing the next generation to adulthood. While some have fond memories of their time in Cuba, others were deeply scarred by a sense of abandonment that haunts their family relationships to this day. 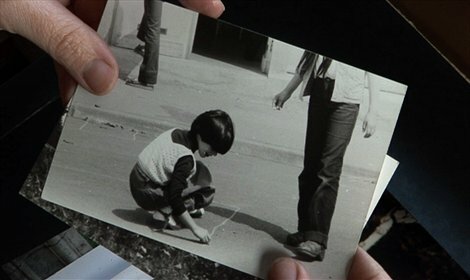 Aguiló, her surrogate siblings, and both social and biological parents reflect on their history together through animation, archival photos and diaries, and emotional interviews, presenting an intimate and engaging personal history that is broadened by shared experiences and circumstances to transcend the individual and instead represent a nation’s difficult history in microcosm. The film demonstrates the limits and sacrifices born of revolutionary commitment, and how much the personal truly is political.